IObit Start Menu 8 Pro offers a free but perfect solution for users who are not accustomed to the new Modern start screen in Windows 8 and Windows 10. It brings back both classic start button and Start Menu to Windows 8 and Windows 10. You can select a button that looks like the classic Windows 7 button, or set your favorite picture as the start button in a Windows 8 and Windows 10 style. Furthermore, you can quickly switch to Windows 10 start menu from the classic start menu with one-click. You can pin and organize your favorite apps and websites with IObit Start Menu 8 Pro. This lets you quickly access your apps, files, as well as the web, by a simple search in the start menu or you can remove them from the start menu easily. 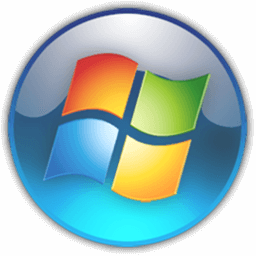 Without Windows 8 start button, users who are not computer gurus may take a long time to access some of the most important system hidden features. Start Menu 8 is designed to help you access the Safe Mode and power options, as well as skipping Modern UI in a fast and easy way. IObit Start Menu 8 Pro is an easy-to-use program that returns the Windows 10 start menu to familiar Windows 7 style and allows for more customization with just a few clicks of a mouse. Start Menu 8 gives you an option to bring back the local search bar and swap web search with Cortana. With IObit Start Menu 8 Pro, you have options to easily change your taskbar including color, alpha, and system time display. Moreover, you can one-click merge taskbar buttons and hide the Cortana/Search box and virtual desktops button which take up substantial taskbar space. IObit Start Menu 8 Pro not only brings back the convenient Start Menu to Windows 8 and 10 but also allows you to bypass Metro screen on start of Windows and boot to desktop directly. IObit Start Menu 8 Pro brings back Start Menu where you can get quicker access to programs, documents and files, control panel and settings. IObit Start Menu 8 Pro is safe and secure and is 100% free of malware.